The recent VPR-Vermont PBS poll found very little name recognition for the Democratic gubernatorial candidates running in next week's primary election. Brenda Siegel thinks that might a good thing. The list of Vermont's architectural gems include the Statehouse, numerous unique barns and its iconic New England church buildings. But Southern Vermont College in Bennington is home to another structure that should be on the list: The Orchard House. On Saturday, the town of Vernon will put on its annual Independence Day fireworks show. But paying for this year's pyrotechnics was no easy task. A superior court judge has agreed to allow a receiver to take over the Hermitage Ski Resort in Wilmington. A man suspected of robbing numerous convenience stores now faces federal charges. Mark Triolo, 46, of Texas, remains hospitalized after police shot him in Brattleboro Friday night. On Friday, students at Brattleboro Union High School and Brattleboro Area Middle School raised Black Lives Matter flags on the flagpoles in front of the school. A new report says the Southeast State Correctional Facility in Windsor could be used for transitional housing for inmates from around the state who have served out their terms but who can't find a place to live in Vermont's tight housing market. Two groups in Brattleboro are working with Planned Parenthood of Northern New England to improve abortion services in Windham County. A bid to bring the pumpkin festival back to Keene prevailed Thursday night after an unexpected last minute challenge from local officials. Keene's mayor cast a tie-breaking vote at the city council meeting to allow the event to go forward. 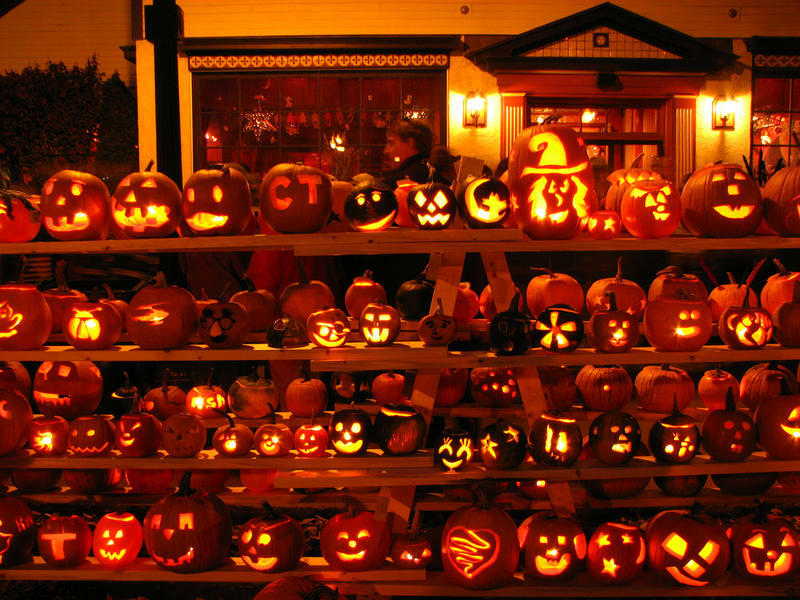 In the past, the festival has broken world records for the most lit jack-o-lanterns in one place. But it was canceled in 2014 after riots broke out. Now. organizers are planning a much smaller, kid-focused festival. The state wants to recognize important sites that contributed to the history of the equal rights movement. The Nuclear Regulatory Commission says a new dry cask storage facility at Vermont Yankee passed a federal inspection. A researcher at Middlebury College says the tick population has doubled, and in Rutland county the mosquito count is up by 30 percent. But down in southern Vermont there's an historic infestation of fungus gnats. The Dorset Theatre Festival kicks off its 40th anniversary season this week with Hollywood star power — brother and sister style. Siblings Tim and Tyne Daly will star on stage together for the first time in the world-premiere of a play about siblings.